We are not a glum lot! From fishing, golf to historical hikes, there are a wide array of free and paid activities to choose from! Come have fun with us! Kona is considered one of the world's greatest fishing destinations. The beautiful blue waters found off the Kona-Keauhou coasts are rich in sport fishing history. Nowhere else in the world is it possible to catch a blue marlin over 1,000-pounds on any given day at any time of the year. Big blue marlin are not the only fish that abound though! During early May, when we have the Big Island Bash, there is a great chance to catch also striped marlin, spearfish, big ahi (yellowfin tuna), mahi mahi, ono (wahoo) and otaro (skipjack tuna) too. Space on the boats is limited to 6 people per charter boat. Limited boats are reserved for this event. Sign up early for a chance at catching the big one in our Big Island Bash trip!! Prepare to make room for Saturday’s luau feast by joining our Big Island Bash Fun Run! Stroll, walk or run either the 5k or 10k course! There is no cost to participate in this heart-pumping adventure! No prior registration required, just meet up at the designated time on Saturday morning of the Bash. 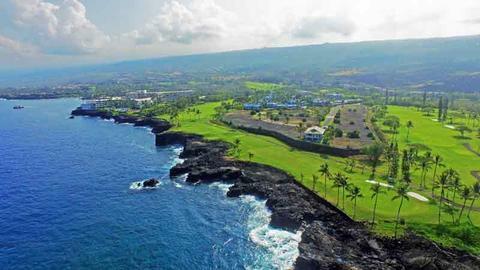 Do not miss the chance to hit the links on Kona Country Clubs’ championship 18-hole par 72 course. Set right alongside the cerulean Kona coast, take in breathtaking views of both the Pacific Ocean with a backdrop of Mauna Loa and Hualalai, two of the Big Island’s mighty volcanos. This course is ranked as one of the top 100 courses by Golf Digest and has been rated as one of the best in the nation by ZAGAT, ESPN, and Golf for Women Magazine. These greens are well maintained, aerated in Summer 2017, and offers lush, wide fairways, numerous sand bunkers. The only natural obstacles are the Pacific Ocean and lava rocks! Sign up today for the Big Island Bash’s Golf Tournament! The Kona Coast abounds with cultural history. Petroglyphs, fishponds and settlements are found that date back to 1200 AD, and historic sites from the 1800’s can be seen up and down the famous Ali’i Drive. There are cultural sites actually on the property where the Big Island Bash is being held. The Big Island Bash Committee is pleased to offer two free cultural tours of local historic sites. Please join us to learn about the history of our beautiful island! Feel the Aloha spirit at the Big Island Bash Luau. This is a private luau only open the participants and the family members of the Big Island Bash. Listen to traditional live Hawaiian music while you get a taste of delicious traditional cuisine, including Kailua pork, fish, fern salad, sweet potatoes, macaroni salad and many other island specialties. Finish off your meal with delicious island desserts, tea, and coffee, with a final group blessing that captures the spirit of ohana. *Many luau food items are safe for gluten-free, dairy free, vegan or vegetarian dietary needs.